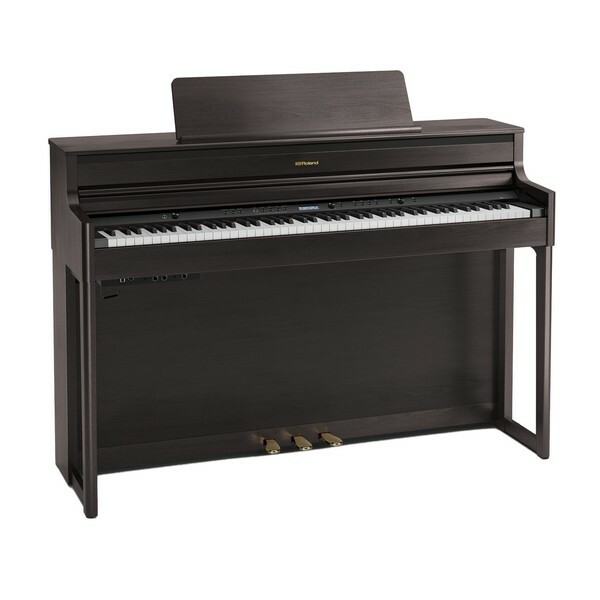 Authentic piano feel with four-speaker system. 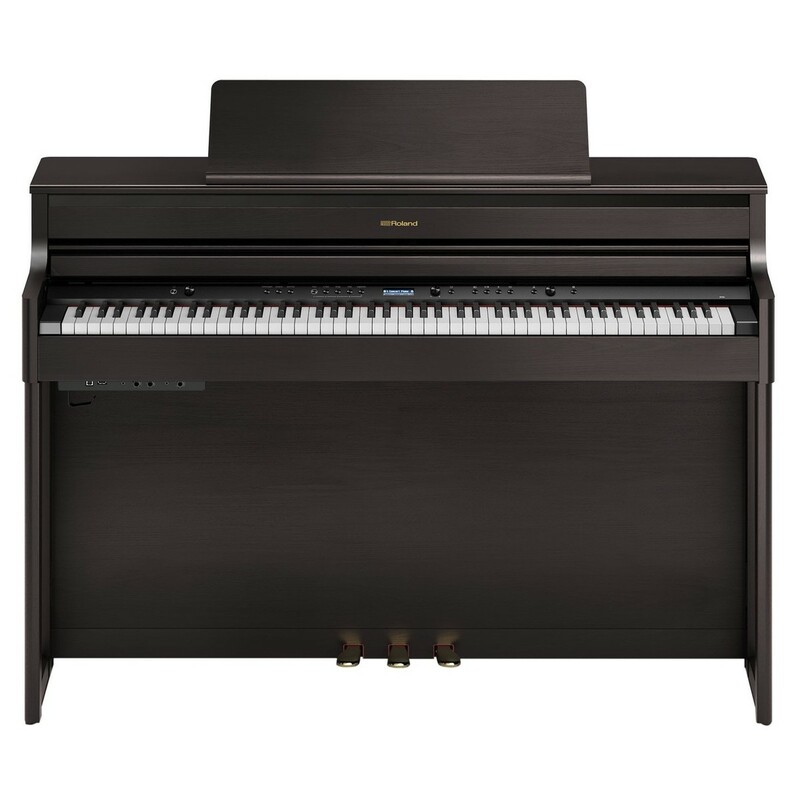 The Roland HP704 Digital Piano, Dark Rosewood is a stylish, premium-grade digital piano featuring Roland's SuperNATURAL Piano Modeling Technology. Great sound and with authentic touch. 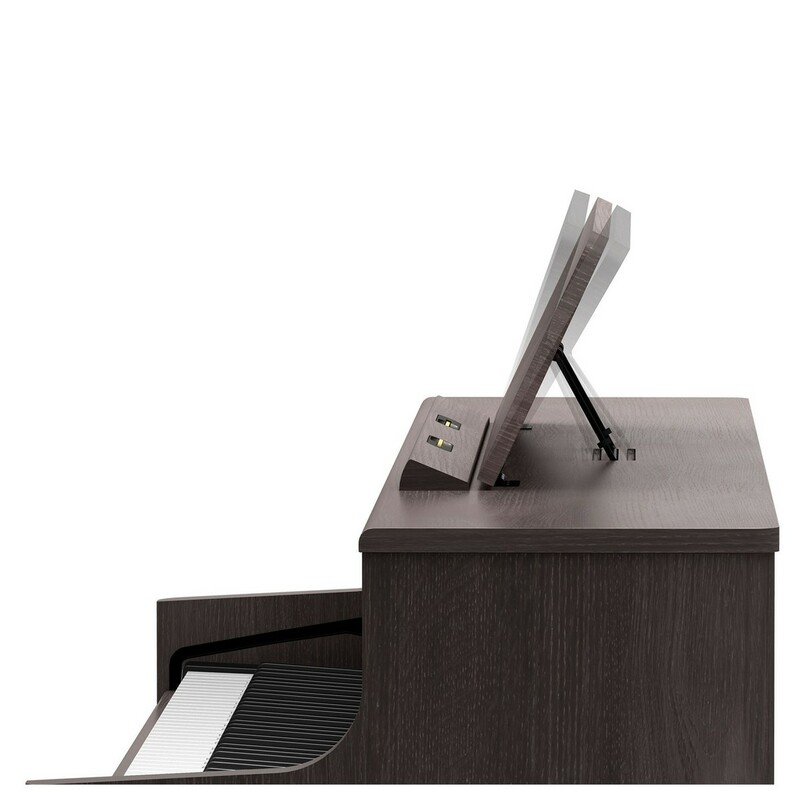 The HP704 utilises Roland's custom SuperNATURAL Piano Modeling Technology. This cutting-edge tech captures the essence of an acoustic piano. It delivers every nuance that you’d expect from a high-end piano. Featuring a maximum polyphony of 288 voices, the HP704 allows you to bring out the best sound from your fingertips from single note staccato runs, to beautiful sustained ambience. 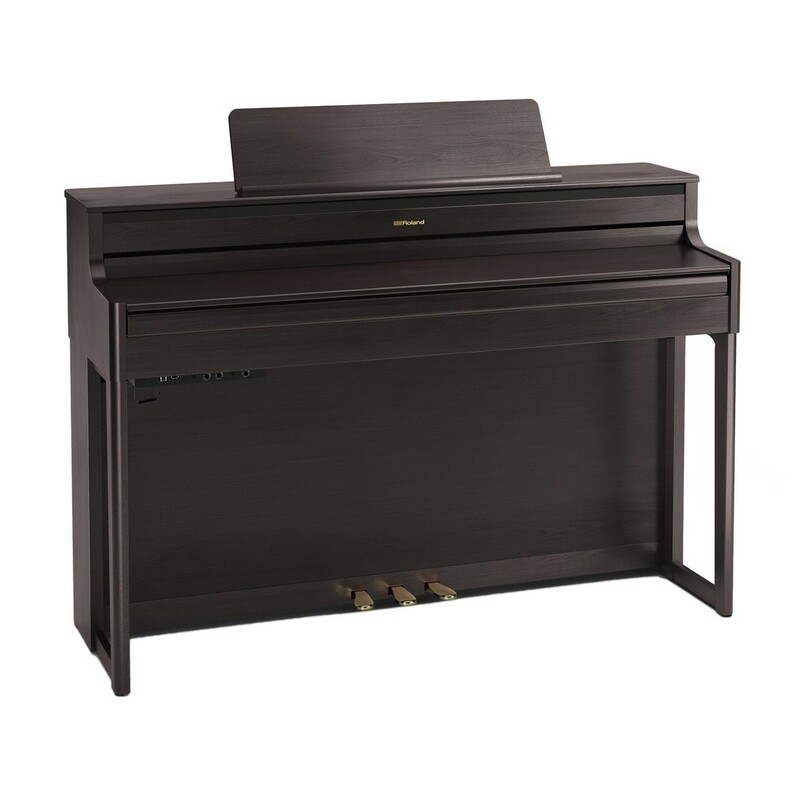 The piano enables you to achieve ultimate dynamic control with its PHA-50 keyboard and Progressive Damper Action pedal set. Whether you are building basic skills or delivering a demanding live performance, the PH-50 puts you in full control of your tonality and dynamics. The PHA-50 delivers the perfect balance between a familiar feel and artisan design. The sleek wooden sides are designed to make any player feel at home, whilst the ultra-durable inner-frame ensures a long lifespan. Play along with your favourite music apps. 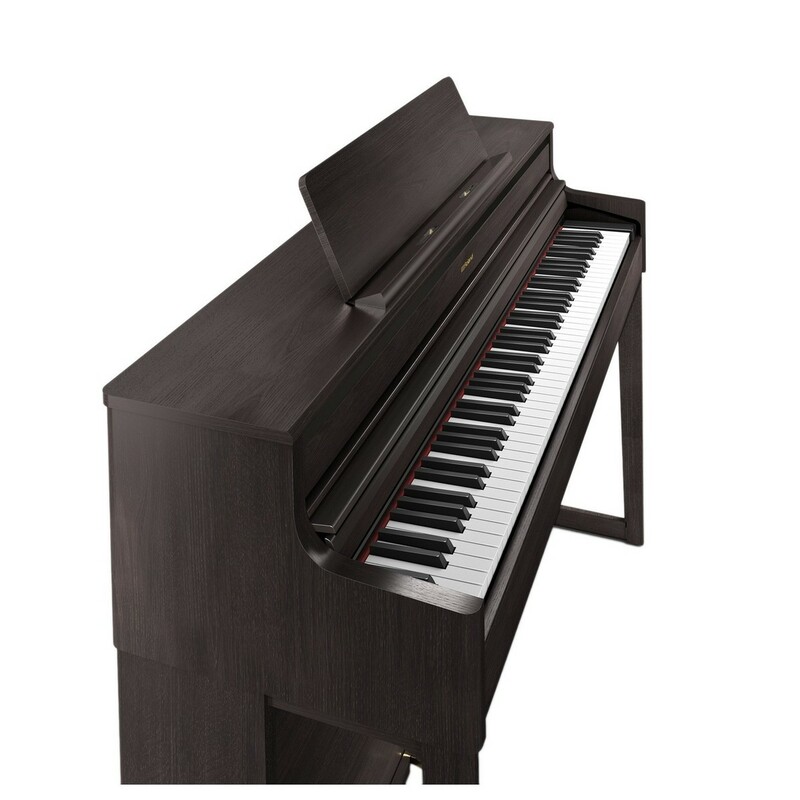 The thing that sets the HP700 series units apart from other HP digital pianos is the built-in Bluetooth connectivity. Connect, explore and create with your favourite music apps. The Bluetooth connection is also useful for educational purposes. There are a number of apps available for teaching piano, as well as learning new songs and pieces. High-end sound housed in a beautiful cabinet design. The elegant contemporary cabinet features sophisticated curves, adding a touch of class to any space. Based on the concept design of Roland’s flagship LX series, the HP704 features a meticulously selected finish. 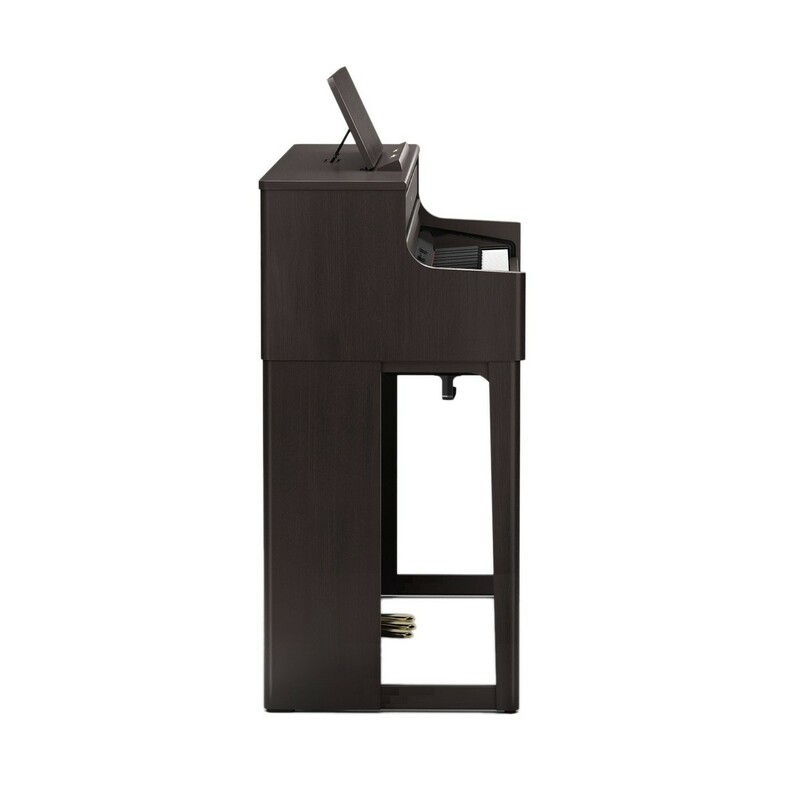 The piano is available in a range of finishes including: polished ebony, charcoal, dark rosewood, light oak and white. Pick the best colour that suits your style and watch the HP704 illuminate the room with its beauty.